I have gathered a lot of yarn through the years of being a professional writer about knitting. Some of it is great, and some of it isn’t. Some of it just isn’t great for me, and would do better in someone else’s stash, or, even better, with someone who would knit with it. I believe that having some stash is good. You don’t always want to have to run to the store when the mood hits to start a new project, and it’s nice to have all that potential just sitting in your house. But it can definitely get out of control. So I found this article on Post Stitch’s blog really interesting. 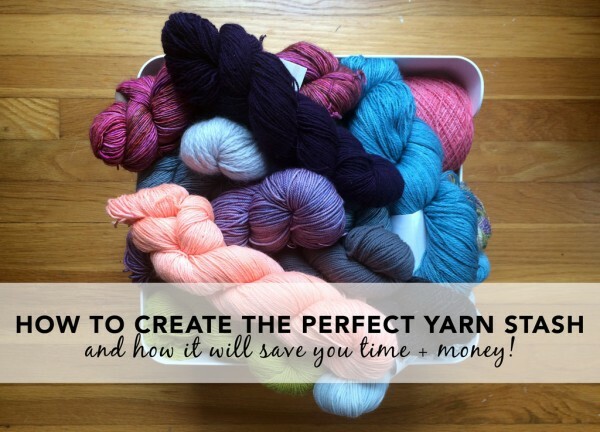 It’s about how to build the perfect yarn stash. It suggests that knitters should keep a variety of weights on hand, should stock up mostly on solid colors (because they’re easier to combine in projects) and should remember that, unless you only knit one skein projects, sometimes buying more than one of the same thing is a good idea. Do you think it’s possible to have a perfect stash? What would that mean to you? (For me, a perfect stash would like in a TARDIS-like closet and all hanks would be self-winding!) I’d love to hear your thoughts.